Chief Information Officers around the world currently stand at a crossroads regarding their approach to Enterprise Resource Planning (ERP). Today, unstoppable and powerful trends such as mobility, analytics and cloud computing are no longer “emergent,” but rather, evolving technologies that play an increasingly vital role in developing IT and business strategies. Traditionally, ERP has not been digitally-centric, born in the cloud nor built with the mobile window in mind, but as digital experiences have become a way of life, organizations need to better harness the digital tools available in all areas to stay ahead of the competition. Digital technology has led to an evolution in business users’ expectations about the way they work. Employees are used to having digitally enhanced experiences as a consumer and they now demand these same experiences in the workplace. But how can the digital world lead to advancements in ERP? For starters, ERP can go through monumental improvements simply by improving its ease of use and becoming more thoughtful of how users interact with the system. We are starting to see updates to solutions like the latest Microsoft Dynamics, which embrace the latest user-experience, mobile centric, design practices and cloud platforms to develop a more thoughtful and user-friendly experience, similar to what’s experienced on mobile devices. 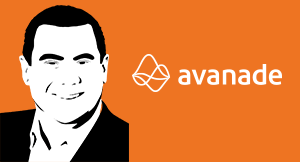 We are in the midst of an ERP transformation; one that started as a business process, evolved into a data-centric system and is now taking steps to become a more user-centric application. As businesses continue to strive to become a digital workplace, the transition to cloud computing is accelerating. Research from IDC shows that cloud computing will experience almost six times the rate of overall IT spending growth—from nearly $70 bn in 2015 to more than $141 bn in 2019. The rise of cloud computing is leading to a whole new paradigm for the way organizations view and implement ERP applications. Traditionally, ERP has been thoroughly and exhaustively designed, very protected and closed, living within its own ivory tower. Businesses operating in the cloud focused solely on moving their non-critical applications and kept ERP applications on premise. As the cost of cloud computing continues to become more affordable, security becomes superior to on-premise applications, service level start to surpass cost effective on premise levels, businesses are beginning to migrate their core applications like ledgers, payables, receivables and procurement to the cloud. CIOs are starting to experience the features, flexibility and unlimited scalability of cloud computing not available with on-premise solutions. Fundamentally, as cloud computing starts to surpass the need for in-house services and resources to support internal data centers, organizations will increasingly move away from managing their own data centers to focus more on their core business. The firms that make this transition first will achieve the greatest competitive advantage. CIOs will spend less time on considerations around the implementation of applications and more on applying technology for business advantage. Additionally, as-a-service options that deliver incremental functionality and allow clients to pay for only what the use, at a fraction of the cost, will give business users even faster cloud-based deployments and keep pace with the demanding speeds of enterprise business. 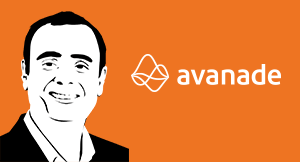 Consider Avanade’s work with a company operating internationally across several regions. We are helping the client integrate a cloud ERP system in more than 50 countries. The traditional way of implementing an ERP system at that scale would have taken more than 10 years to complete. Thanks to the features and functionality at our disposal through cloud computing, we will be able to finish the job in 2-3 years, with significantly faster and greater financial return, much to the delight of our client. The client is expecting competitive advantage they would not have been able to accomplish 18 months ago. While the combination of ERP, cloud and digital is contributing to innovation, there are more advancements on the horizon. Advancements in technology like Internet of Things (IoT) has the potential to completely change ERP. As connected devices become more prevalent, billions of sensors measuring data will come directly into business systems. Utilities will begin to measure data and supply chain movement will be tracked in real time. Additionally, IoT will be able to take advantage of growing offerings in analytics allowing companies to pull in data from almost anywhere in their organizations and react in real time. These are exciting times for businesses that are embracing the digital tools available to ensure their futures as digital businesses. Imagine a future where retail associates carry hand-held platforms that allow them to predict buyers’ interests, engage in visually compelling customer service, access and share key information or order products online for customers on the spot. Similarly, imagine a scenario where a customer can use their phone to either visualize products in full 3D simulation or walk into a store and conduct a real life product experience, configure or tailor the product, purchase it and have it waiting on their doorstep when they return home. By leveraging cloud savings, paying for what they use, leveraging analytics and using compelling visualizations all on mobile devices, companies will have the resources to invest and enable innovative business solutions that leverage a smarter ERP solution to enhance customer experiences, retain customers and be prepared for a digital future in a highly competitive market. CIOs, why should you cede being the center of a digital transformation effort to someone else? This is the clarion call to be part of the business.